Superfast South Yorkshire (SFSY) is jointly funded by funded by Broadband Delivery UK (BDUK – a central government organisation), BT and the 4 South Yorkshire partner Local Authorities (Sheffield, Barnsley, Doncaster & Rotherham). Provide fibre connectivity in places where commercial providers are not intending to roll it out. The commercial providers are currently expected to reach around 80% of premises in the South Yorkshire region. 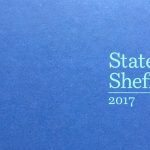 SFSY intends to increase coverage to around 98% by 2019. Coverage will mainly be via fibre to the cabinet, with certain business parks and offices receiving fibre to the premises. 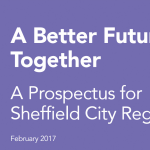 The focus is obviously on rural areas, leaving towns and cities to the commercial operators, (and Sheffield City Centre within the inner ring road is unable to be covered by SFSY due to state aid laws), however there are poorly served urban areas that will be served by SFSY, and you can find out whether your premises are covered by commercial and/or SFSY connectivity by running a post code search here. And you can find out more answers about SFSY’s service here. Of course digital tech firms don’t really need to be sold on the benefits of fast broadband, but the demand stimulation activities extends into supporting new innovations that take advantage of the extra bandwidth, and this is where opportunities might lie. 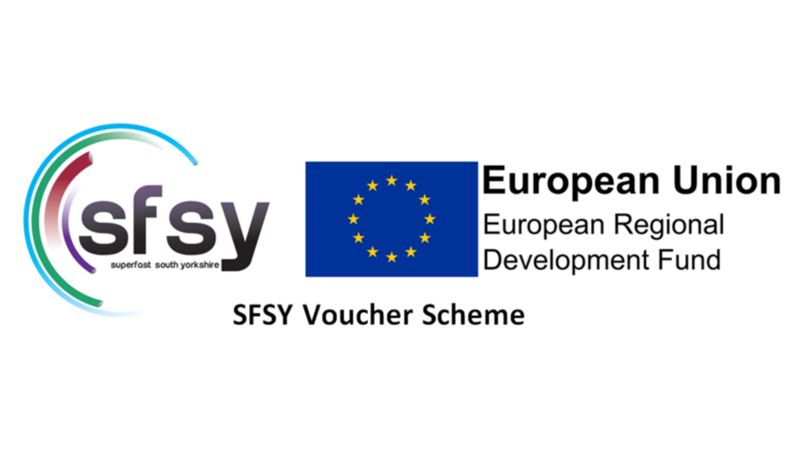 The two voucher schemes launched by SFSY at the beginning of February essentially cover these two missions: a connection voucher to get easier access to the bandwidth, and an innovation voucher to develop new applications that use it. The connection vouchers are available to eligible small and medium sized businesses, and will cover have of the cost of getting a new connection from an ISP, where the costs are between £1,000 and £5,000 not including VAT. I.e. the voucher will cover between £500 and £2,500 of the cost, ex VAT. The vouchers are not limited to areas connected by SFSY, but do require that the applicant provides three firm and itemised quotes in advance. Innovation vouchers are similar to the connection vouchers in that they follow a similar process and have similar eligibility criteria, but they cover up to half of the innovation costs of a new service or application where those costs are between £5000 and £24,999 not including VAT, i.e. the voucher will cover between £2,500 and £12,499.50 ex VAT.